The 1st place winner, Clay Cook from Alabama! The red cabinets with black channel pulls really stand out and add a pop of color to the garage. They also created contrast by adding in the 1 ½” thick butcher block counter top to the island in the center of the garage. 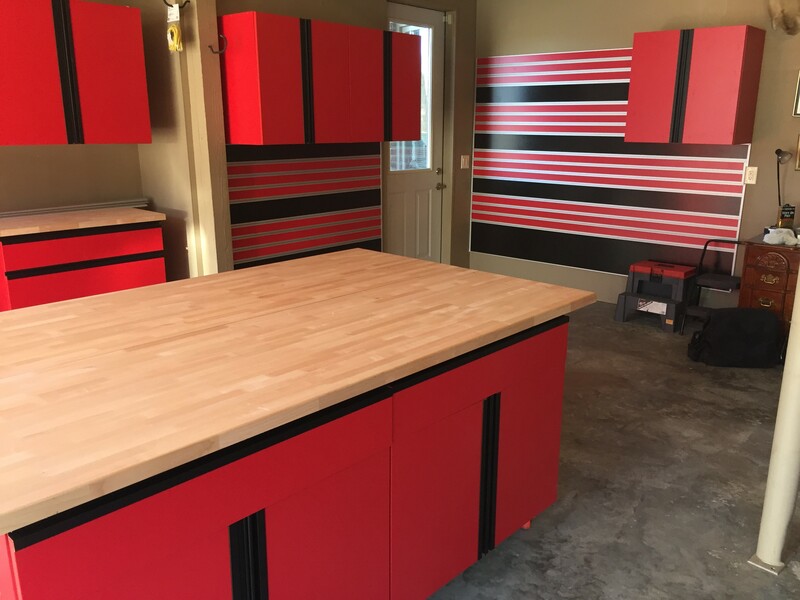 The cool custom appearance was continued throughout the garage by adding a red slat-wall with black 6-inch fillers to match the black channel pulls on the cabinets. With all the detail & custom work put into this garage, there is no doubt that Clay Cook deserved 1st place! Great Job! Those cabinets are amazing. Epoxy is flawless.